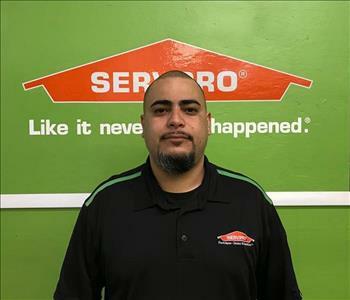 Miguel Alicea is the Production Manager at SERVPRO of South Philadelphia. Miguel has been with the company since January 2015 but has more than 13 years of industry experience. He is certified by the IICRC (Institute of Inspection Cleaning and Restoration) in Water Damage Restoration as well as Applied Structural Drying. Miguel has overseen many large project for the company and is our trainer for residential and commercial duct cleaning. Jon is a Crew Chief with SERVPRO of South Philadelphia and has been here since 2012. Jon also oversees all of the warehouse activity and equipment maintenance. He is certified by the IICRC (Institute of Inspection Cleaning and Restoration) in Water Damage Restoration, Fire & Smoke Restoration and Odor Control. Ron has been with SERVPRO for a year now. He has a vast background with rebuilds and handyman services. Ron has proven himself useful with problem solving skills. Kevin has been with SERVPRO since 2018. He is a valuable and dedicated member of the production team. Kevin has propensity for safety precautions and takes charge with his team to make sure everyone wears their PPE (Personal Protective Equipment). Cordon has been with SERVPRO since 2014 between part time and full time. He recently became full time in 2019. Cordon has become the lead technician specialist for all content related aspects. Patti is our Office Manager and has been with us for 7 years. She has been in the restoration industry for 18 years. Patti is the first line of communication with our customers, and is responsible for scheduling, estimating, and accounts receivable. 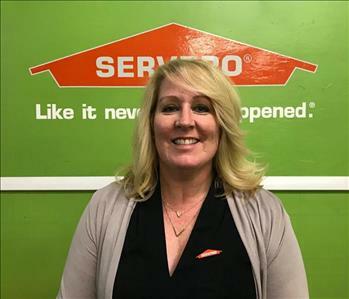 Patti is very compassionate with all of our SERVPRO® customers. She also assists the crew in the field when we have large content inventory. Patti is a huge animal lover and is a proud owner of a rescue English Bulldog girl named Charlie. Patti enjoys watching all of the Professional Philadelphia sports team. Emily is our Digital Marketing Manager, and an administrative assistant. She started here this past February with a Business Admin Degree. We are excited to have her as she is improving our web presence. Emily is a huge Philadelphia Phillies fan. She also is an avid Extreme Couponing expert and has saved over $5,000 in one years time. Emily adores her 2 year old girl English Bulldog named Charlie.